Our next stop on the Emerald Isle was Galway County and Galway City, which lies north of Clare and Doolin, across a huge bay. 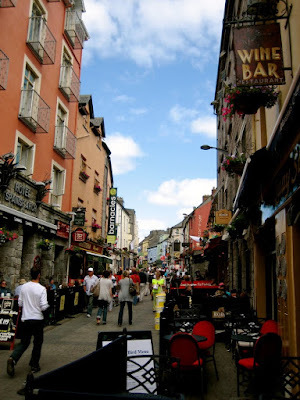 When planning the trip, Galway was always at the top of my list for one embarrassing reason: Bodie and Brock Thoene's The Galway Chronicles, which I read with enthusiasm in high school. 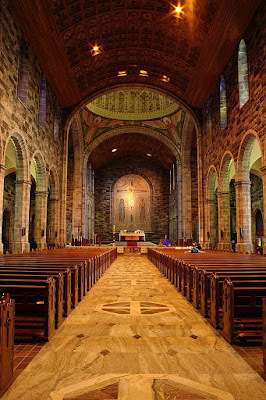 While I claimed to know a lot about Ireland before our trip, the truth is that most of my information came from Christian historical fiction. At least now my bluff is called. 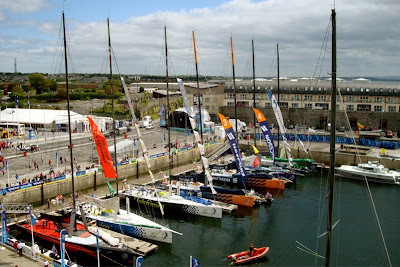 We spent one whirlwind day in Galway, most of that time in the city, and we arrived on the inopportune final day of the Volvo Ocean Race's Irish stopover. Oh my, the traffic. It cramped our style a bit. Still, Galway City was a lot of fun. It developed around a fort built in 1124, and you can really feel its age. I loved Shop Street, a carless thoroughfare with shops, pubs and street performers galore. I'll always regret not buying a CD from one of the bands that played--it was the most beautiful music I heard the whole trip. I was mesmerized. 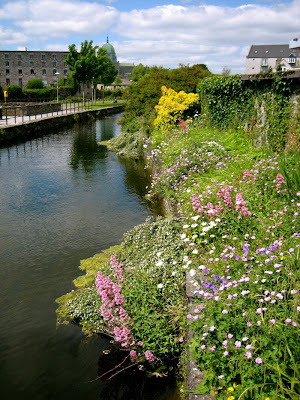 The River Corrib flows through Galway, framed by wildflowers and bridges. There was an incredible amount of green in such a big, busy city. 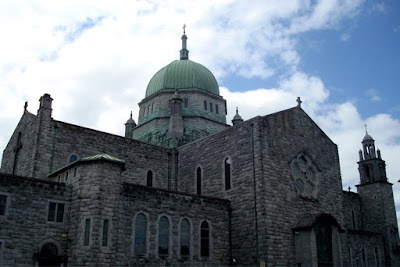 My favorite spot of the day was Galway Cathedral (or The Cathedral of Our Lady Assumed Into Heaven and St. Nicholas, whoa). I will once again completely discredit myself and say that this may be one of the most beautiful cathedrals I've ever seen. Here's the thing--it opened in 1965. So you know, it's not exactly a phenomenon of hand-hewn architecture and construction, like the Duomo of Florence, for instance. But I just like it, ok? I loved the modern art mixed in with the Renaissance and Romanesque architecture. 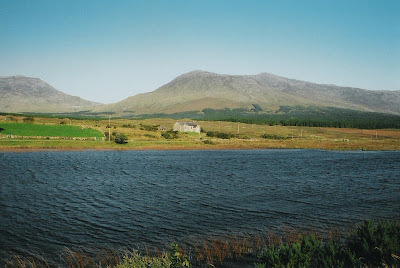 After our afternoon in Galway, we made a giant loop through the eastern portion of the greater county, in an attempt to see the Connemara. 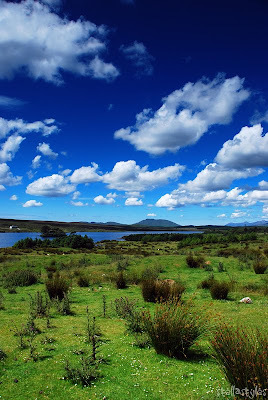 This mountainous region is windswept and wild, with numerous lakes. It is primarily Gaeltacht or Irish-speaking. Not that I would really know, because we never got out of the car, except for one fuel stop. Traveling with a baby keeps things brief and efficient! These photos are pretty close to what we saw, though. Up next, Kerry and Killarney!